1st Day: Manali to Manikaran then to Barsheni Kalga (2200mts.) 5-6 hrs. From Manali drive to Manikaran hot springs 90 km. from Manali then drive another 7 km. to Barsheni.Trek to Kalga village a small clearing in the thick pine forest, through the misty and heavily wooded virgin forests of the Kullu valley. 2nd Day: Kalga to Khir Ganga (2850 mts.) 4hrs. 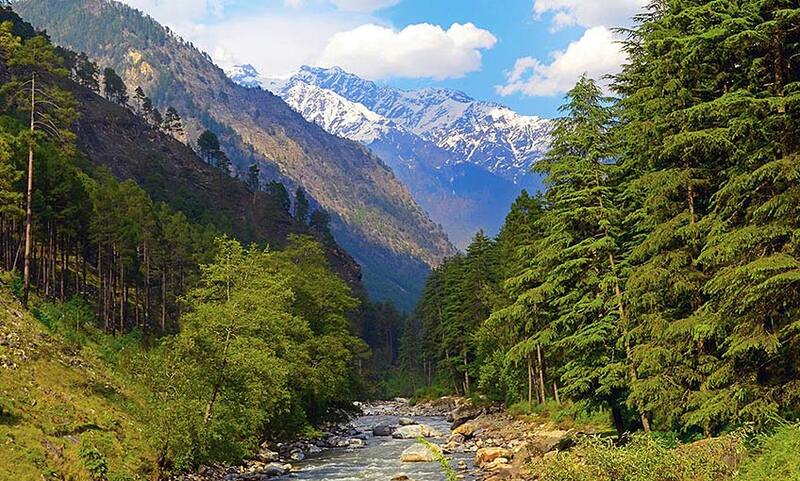 Except to short steep climb in between , the trek through the forest to Khir ganga is a pleasant walk.Khir Ganga is a holy place with a hot water spring. Small temple of lord Shiva and a bathing tank . this is a last chance to take a hot water bath on the trek. 3rd Day: Khir Ganga to Tunda Bhuz (3200 mts.) 5hrs. The trek is covered with trees of pine and is heavily wooded . 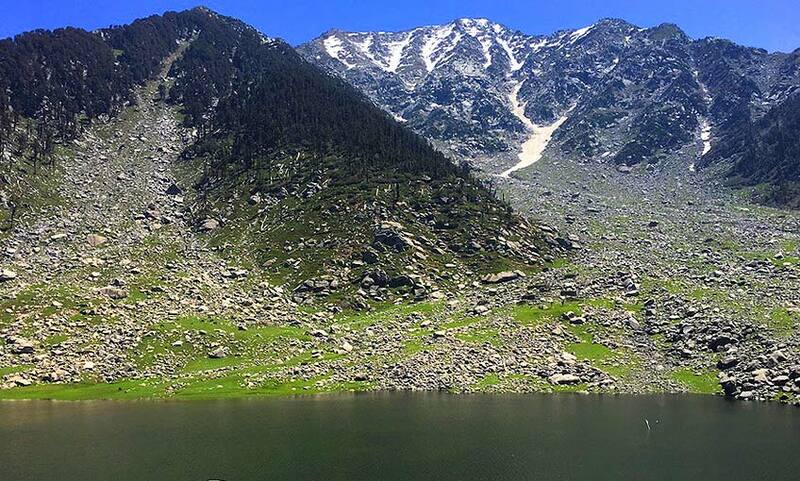 Tunda Bhuz is the upper limit for the pine forest and there is an abundance of Bhuz(Birch)trees. Camp at lush green campsite. 4th Day: Thunda Bhuz to Thakur Kuan (3400mts.) 5hrs. 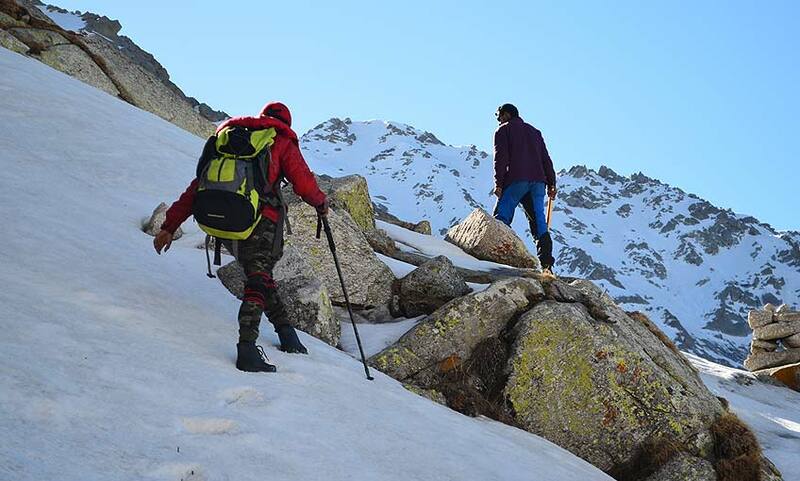 This is a challenging day of the trek , because the trek is steep and difficult in some section close to Thakurkuan.This area lies with in the Kanawar wild life sanctuary and one may cross small Himalayan brown ears at lower altitude and wild sheep or snow leopards in high altitude. 5th Day: Thakurkuan to Pandu Pul. (3700mts.) 5hrs. This is a little hard but spectacular trek to wards the campsite. There is some unique rock bridges. Due to these bridges its name is Pandu Pul( bridge) a grassy camp site. 6th Day: Pandu Pul to Mantalaie Lake.(4074mts.) 5hrs. Trek to Mantalaie lake through the flower speckled grasslands. there is an abundance of quartz and semi precious gems around here. Picking up rock souvenirs from here is not allowed over night camp. 7th Day: Mantalaie to Base camp of Pin Parvati Pass. (4500mts.) 6hrs. Over the glacier and loose scree slopes trekking is challenging . There is a beautiful grassy campsite. 8th Day: Base camp to Cross the Pin Parvati Pass (5319mts) to the another side of the base camp(4500mts.) 6 hrs. 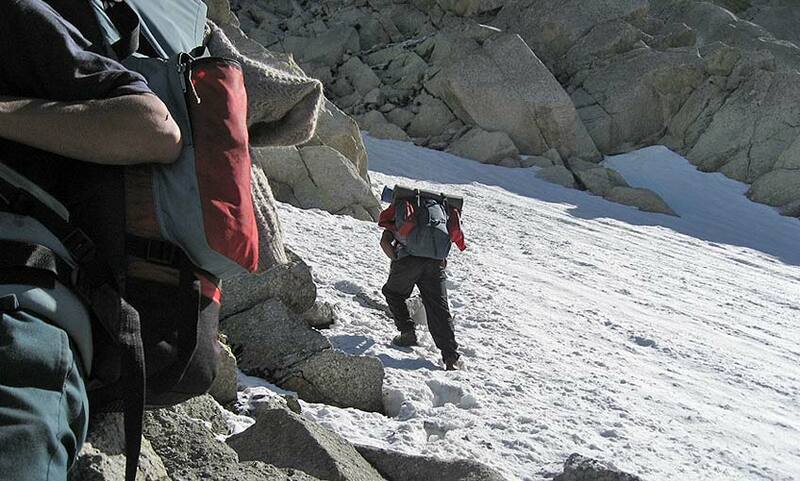 This pass is difficult to trek and snow fields make it more difficult . This take a necessary precautions on this section. Every body roped up as the crevasses may not be easily visible. After the pass descends over asteep scree slops to reach first camp in Pin valley. 9th Day: Base camp to Ghurgul (4000mts.) 4hrs. A short walk after crossing the challenging Pin Parvati pass is a very spectacular walk changing the landscape with high snow clad mountain peaks. Over night camp at grassy camp site. 10th Day: Ghurgul to Mud (3600mts.) 4hrs. Today we will get to the first village in Spiti.A village which is one of its kind and is set a below a cliff and inhabitant by simple folk of Tibetan stock.This is the last night of the trek. 11th Day: Mud to Sagnam (3753mts. Then to Kaza((3810mts.) 6 hrs. Trek from Mud to Sagnam.The largest village of the pin valley . from Sagnam you will be picked up by jeep to Kaza by surface transportation. 12th Day: Kaza to Manali. 9hrs. 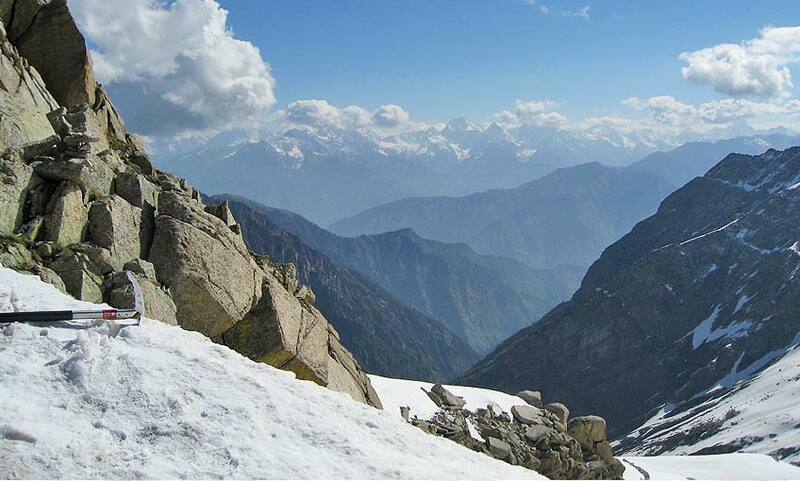 Drive Kaza to Manali over the Kunzum pass (4530mts.) or stay in Kaza for the explore the spiti for few days. And let the rest to us..
HT&T offers complete travel services from day hikes, trekking, camping, advaneure holidays, weekend holidays to best locations of Himachal, Leh Ladakh, Garhwal and to rest of India. Our services comes with a smile, professionally managed and experienced team od adventure lovers..